How big is El Paso County, Co? 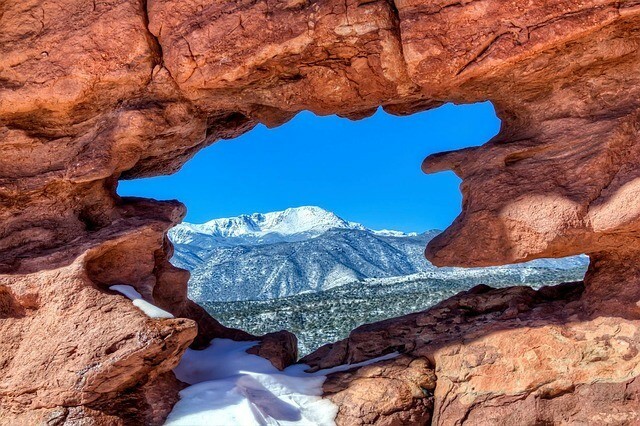 If you are hoping to purchase a home, land, farm or ranch in the Colorado Springs area, you may find yourself wondering, “How big is El Paso County?” Colorado Springs is located in El Paso County. Depending on traffic, it can take about 45 minutes to an hour to drive from Fountain, the southern edge of the county to the northern edge. Palmer Lake and Monument are on the northern edge. Additionally, if you look at pictures, you will discover that the Colorado Springs area and El Paso county is so large that topography is very diverse. As result, there are numerous micro-climates. On any given day, the weather in Ramah is likely to be very different from the weather in Manitou Springs or Rush. How big is El Paso County? According to the El Paso County Sheriff’s office website, El Paso County consists of 2,130 square miles. That means that El Paso County is 1,363,200 acres. So, El Paso County consists of 2,130 sections. I am not even going to take the time to figure out how many square feet that El Paso County contains. In conclusion: El Paso County, Colorado is large. As result, the county features very diverse terrain and numerous micro-climates. I invite you to see it. Experience Colorado. After you do so, you may want to live here. If I can assist you in buyer or selling a home on acreage, land or a small farm or ranch in El Paso County or the surrounding area, please let me know. I also specialize in horse properties.